If you have bad or missing teeth, you know how difficult it is to chew certain foods and smile confidently. 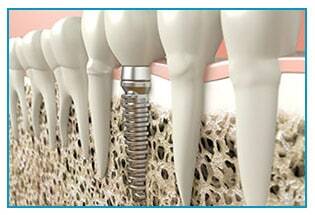 It’s time to end the discomfort and embarrassment, and we can help – with safe, comfortable dental implants. 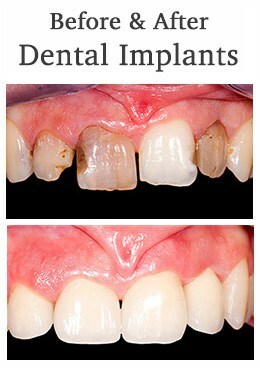 A dental implant is the ultimate teeth replacement solution—it looks and functions just like real teeth. Chew normally, and never worry about false teeth again! Concerned about your smile? Call us today (or use our easy form below) for more information about Dental Implants and whether implants are the right solution for your need.